Note: text in bold in the text and in the list of signers reflects the additional information provided by a reader. 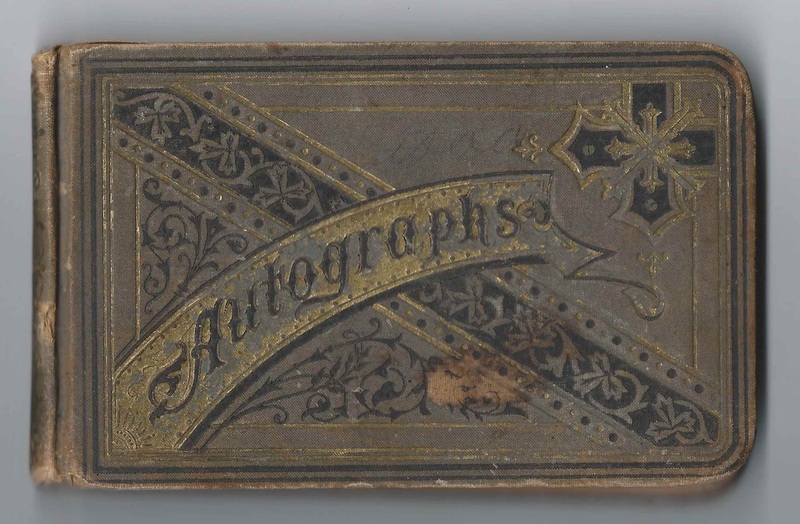 1880s autograph album that belonged to Isaac Thornton of Lincoln, Ohio, and, later, Harrison, Ohio, both in Gallia County. Isaac signed several pages. See a photograph of Isaac here. 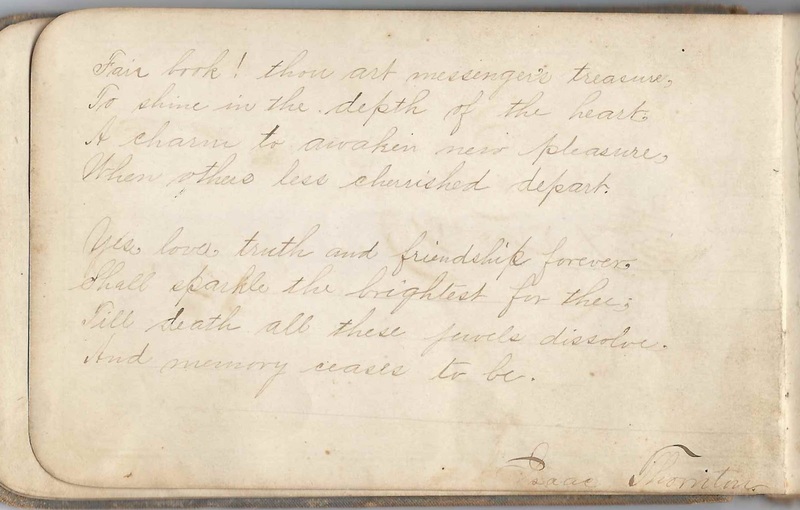 The album is approximately 6" x 3-3/4" and contains the sentiments of nearly 40 of Isaac's relatives and friends. An alphabetical list of the signers appears at the end of this post. Isaac E. Thornton was born 4 December 1855 at Moody, Ohio, the son of Henry Warden Thornton and Susannah (Dewitt) Thornton. 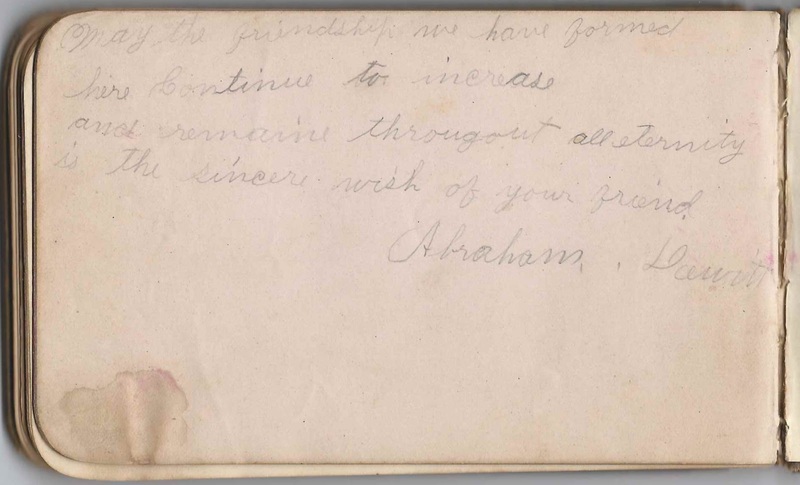 Isaac's cousin Abraham Dewitt signed a page. He was the son of Isaac Dewitt, who was a brother to Isaac Thornton's mother, Susannah (Dewitt) Thornton. On 4 June 1885, Isaac E. Thornton married Mary Ann Saunders, daughter of John Anderson Saunders and Elizabeth Frances (Martt) Saunders. 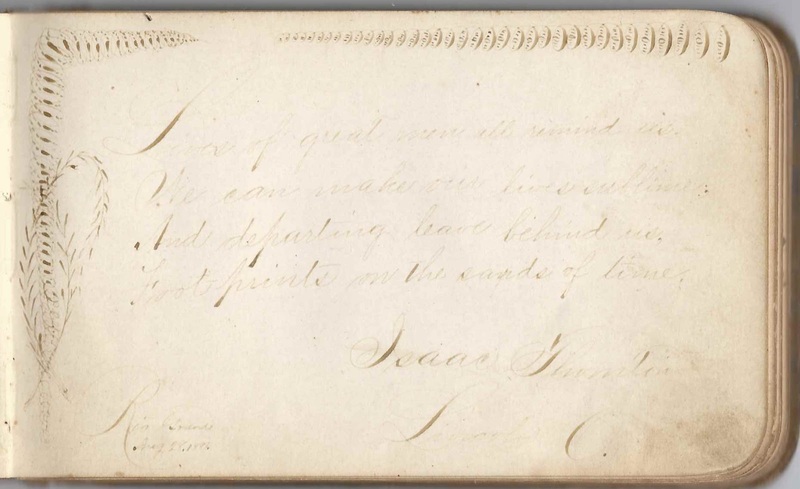 Mary Ann signed pages in Isaac's album before and after their marriage. 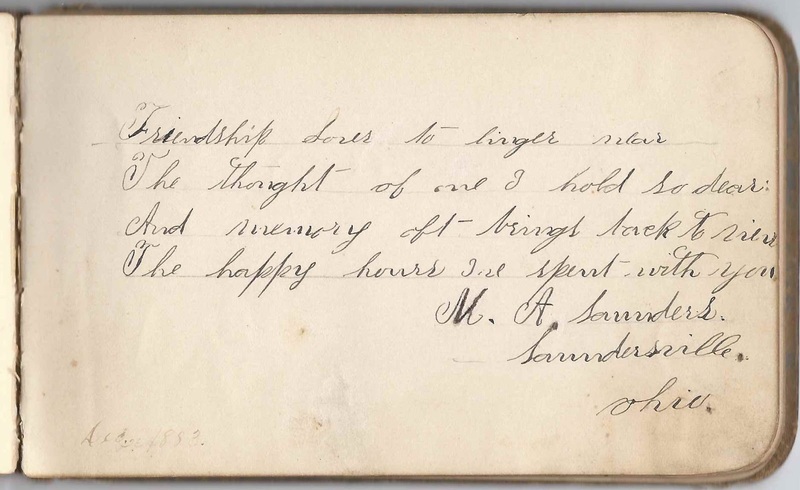 She signed a page as M. A. Saunders of Saundersville, Ohio. She signed a page as M. A. Thornton of Moody PO, Gallia County, Ohio, on July 9, 1885, just over a month after her marriage. 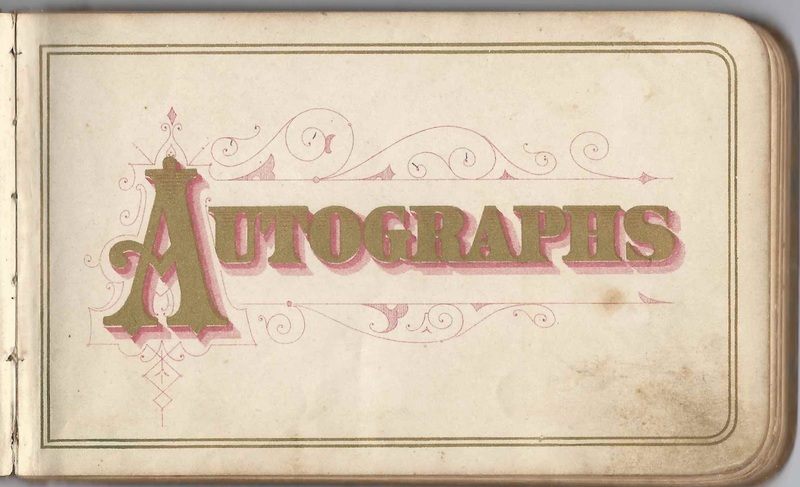 The latest autograph in the album apparently occurred after the album came to light in the early 1900s. It was signed by Virgie May Thornton, the daughter of Isaac and Mary Ann (Saunders) Thornton, on November 22, 1907. By 1900, Isaac, Mary Ann and their six children were living at Harrison, Ohio. Isaac died in 1937. Mary Ann had predeceased him in 1933. Isaac was a school teacher for a few years; then after his marriage he settled on a small farm. He also ran a hotel there in Gallia Co., Ohio for a while. He and his family were members of the Mt. 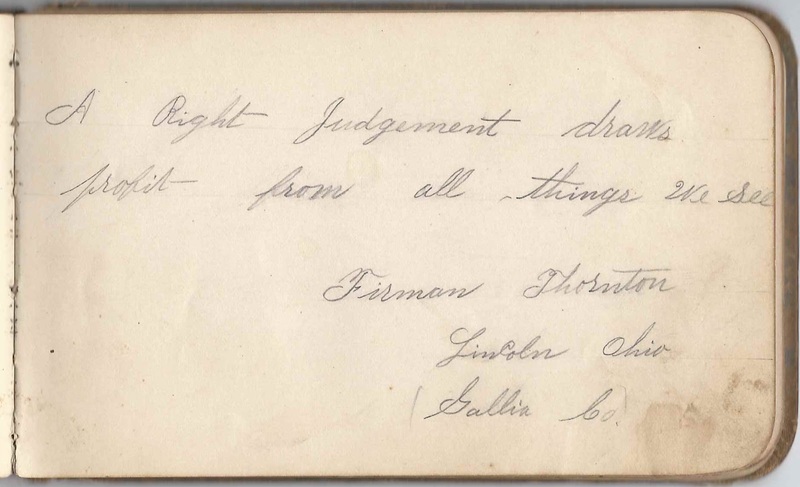 Carmel and Lincoln Chapel Methodist churches in Galllia Co.
M. A. Saunders of Saundersville, Ohio, signed in August 1883. 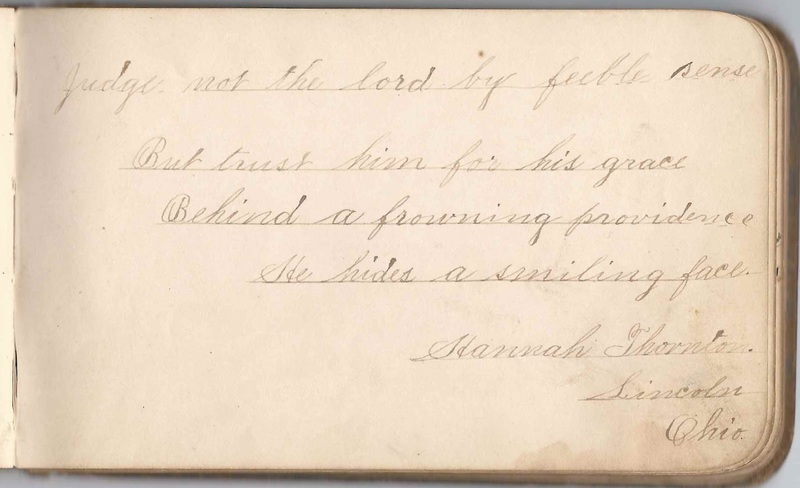 This signer may have been Mary Ann Saunders, who would become Isaac's wife in 1885. 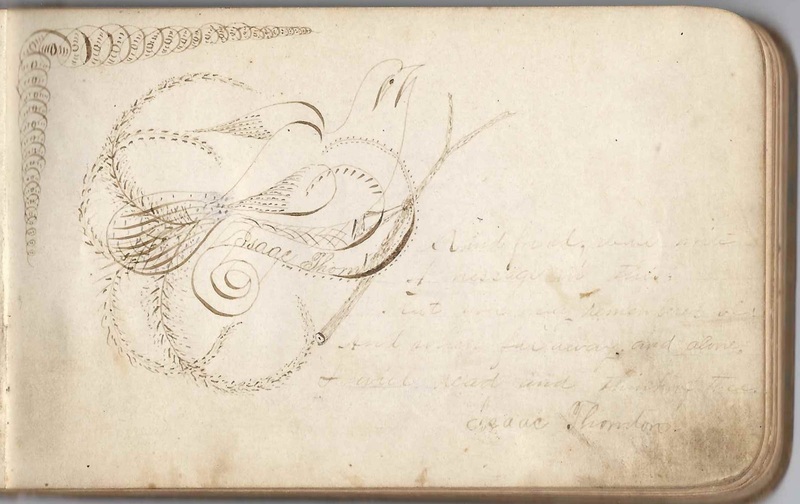 J. F. Shively of Lincoln, Ohio; middle initial might be T or ? 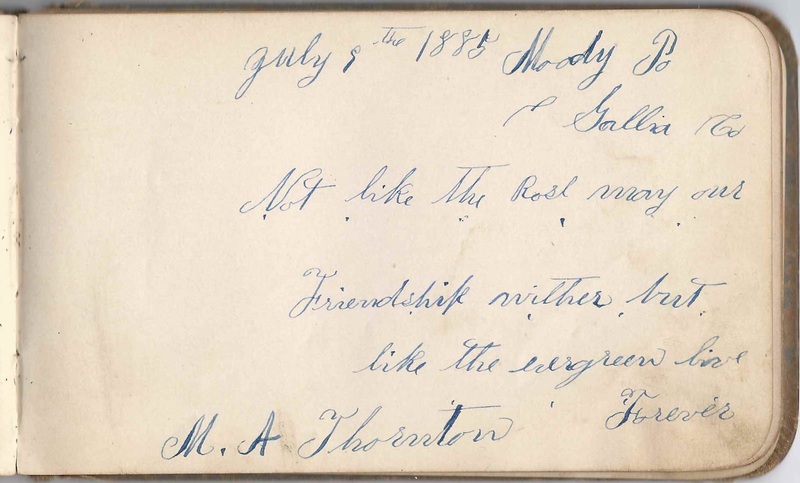 M. A. Thornton, signed at Moody, Gallia County, Ohio, on July 9, 1885. Likely, Mary Ann (Saunders) Thornton, who had become Isaac's wife the previous month. The handwriting is very similar. 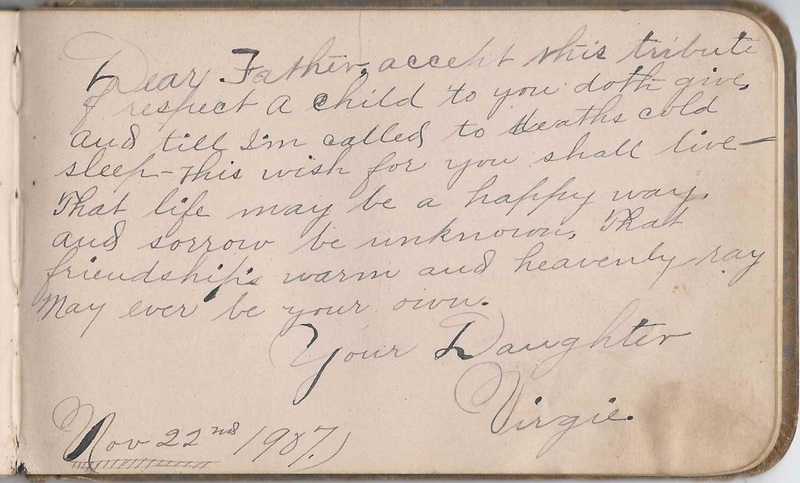 "Your Daughter Virgie", signed on November 22, 1907. She was Virgie May Thornton, born 20 November 1889 at Harrison, Ohio.